Stop talking about AI, start doing! 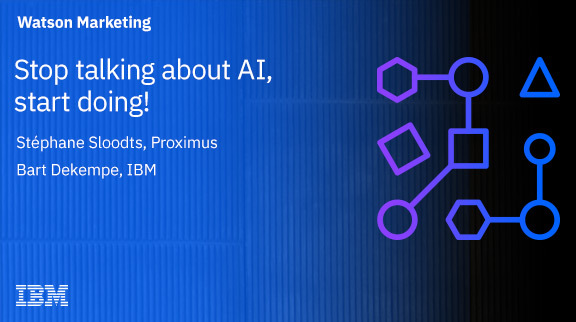 Learn how Proximus uses a real-time decision engine to determine the next-best action based on individual behaviours, preferences and product subscriptions. It sees that artificial intelligence (AI) solutions will play a vital role as it continues to enhance its analytics capabilities. AI is increasingly important to extract hidden trends and patterns from big data during the customer journey. After this webinar, you will have food for thought to rethink how to deliver personalized services that boost your customer retention.